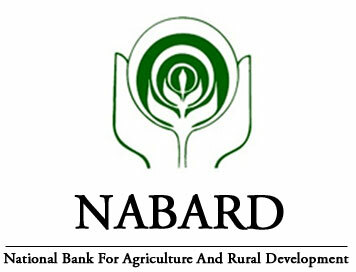 (Jobs) Nabard : Development Assistant Post Recruitment 2018 | BANK EXAM PORTAL : IBPS, SBI, PO, Clerk, IPPB, Bank Jobs Aspirants Community. NABARD reserves the right to change the dates on account of administrative exigencies.The online links for download of call letters/ handouts will be published on Nabard officail website, . Candidates are advised to visit the website regularly for updates, etc. during recruitment process. Please note that corrigendum, if any, issued on the above advertisement, will be published on the Bank’s officail website. Abbreviations: SC – Scheduled Caste, ST- Scheduled Tribe, OBC – Other Backward Classes, UR - Unreserved, EXS-Ex-Servicemen, PWBD-Persons with Benchmark Disabilities. Candidates can apply online only from 27 August 2018 to 12 September 2018 and no other mode of application will be accepted. Photograph (4.5 cm x 3.5 cm) Signature (with black ink) Left thumb impression (on white paper with black or blue ink) A hand written declaration (on a white paper with black ink) (text given below) Ensuring that all these scanned documents adhere to the required specifications as given in this advertisement. The selection process will involve two phases viz. Preliminary and Main Exam, both online Exam.